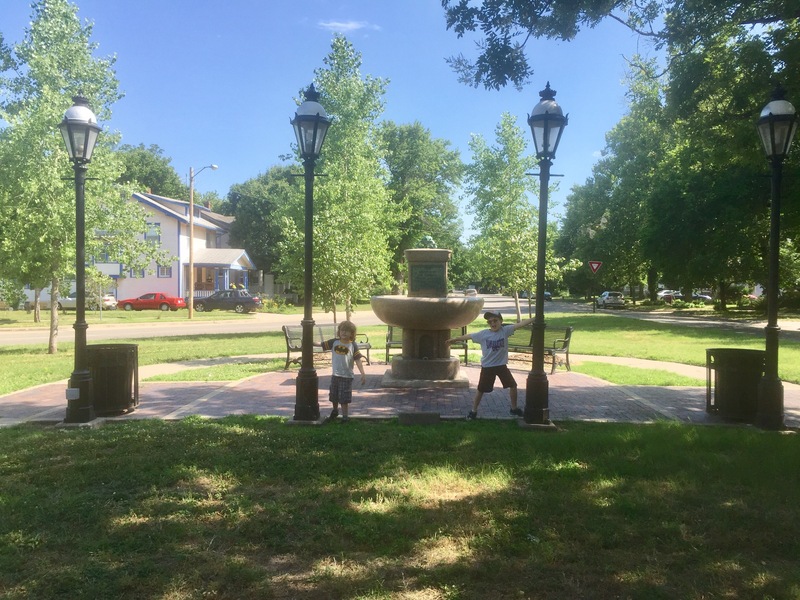 This little park is located at 17th and Park Place (1700 N. Park Place). 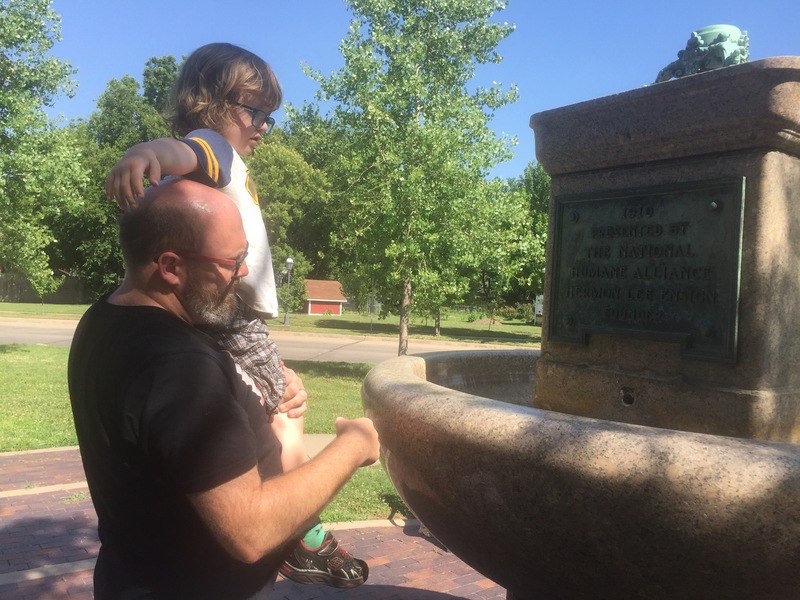 According to the Wichita Parks and Rec site for this park, the fountain (which no longer works) “was originally a horse watering trough placed at the middle of the intersection of St. Francis and William.” And it “is one of the few National Humane Alliance Fountains still in existence.” How cool!! 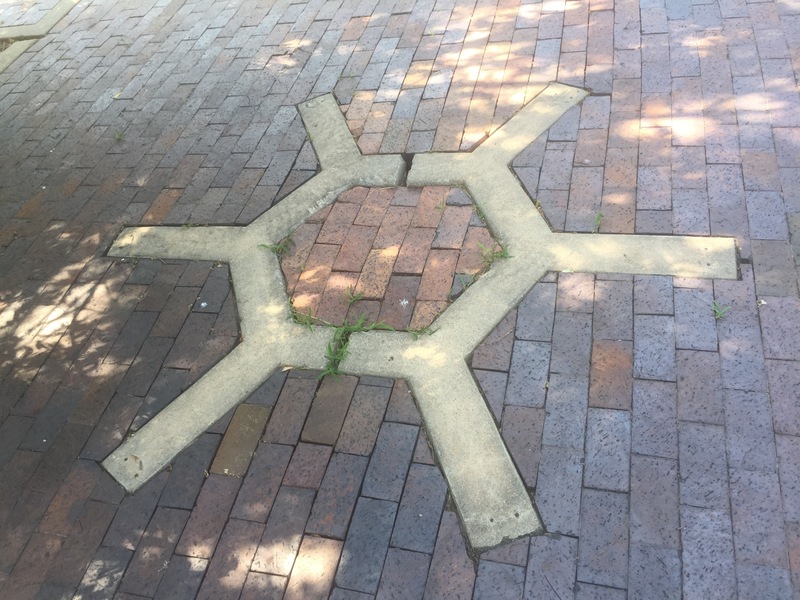 Not sure what this layout of bricks was for. There’s nothing about it online, and we all had our own theories. 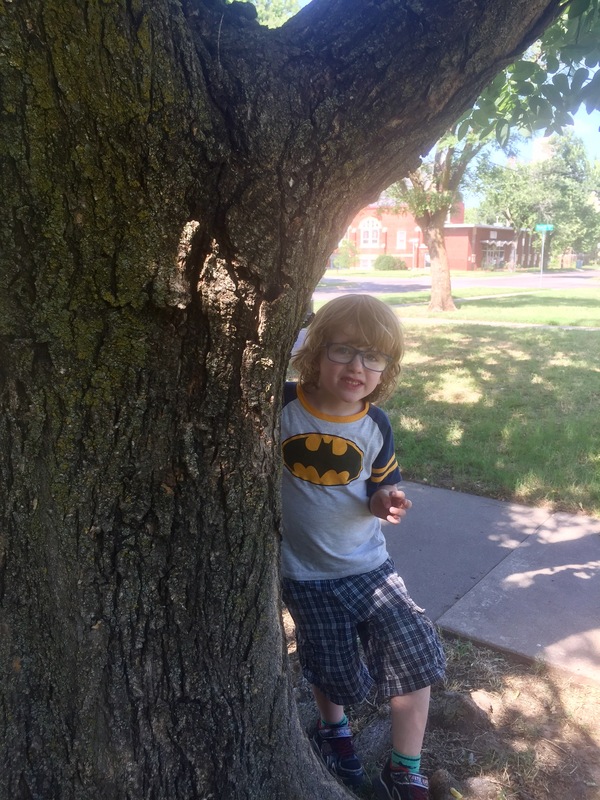 Feature: Park Benches. Not much else as this is a tiny park in a traffic island.